(sale, Christie's, London, 25 March 1986, no. 221); William K. Simpson, New York; bequest to NGA, 2018. Parisot, Christian. 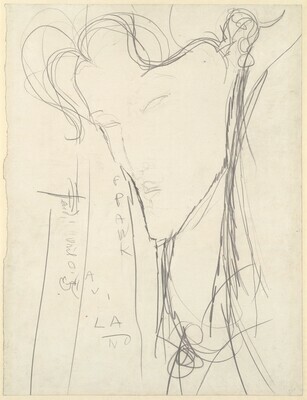 Modigliani Catalogue Raisonné. Volume 3: Dessins Aquarelles. Livorno, 2006: no. 161/15, repro.